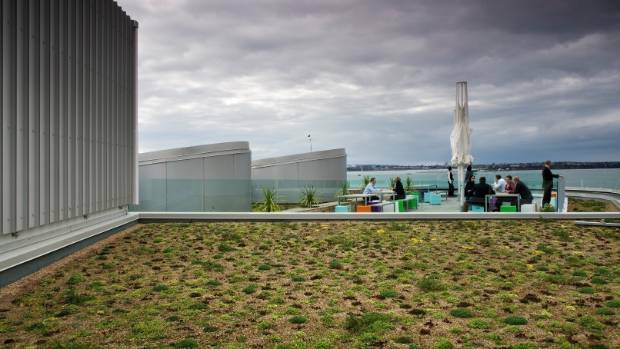 The NZI office building in Auckland had a variety of sedum and succulent plants planted on its roof in 2009. Green roofs can make commercial buildings more sustainable, efficient and appealing places to work – but they can also be difficult to maintain, costly and underutilised, a property expert warns. Colliers International director of strategic consulting Chris Farhi said green roofs were becoming more common in Europe and the United States, but have yet to become widespread in New Zealand. The two main types of green roofs are either covered in plant life or solar panels. New Zealand’s climate means roof plantings will need to be hardier and less attractive than places the practice is popular overseas. Solar green roofs use arrays of solar panels to produce clean energy, which helps to cut energy costs and makes buildings more sustainable. Living green roofs consist of plants growing on soil on a waterproof membrane. 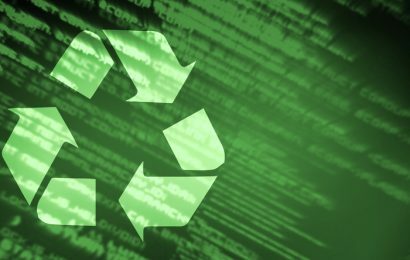 They can help to offset carbon emissions, reduce stormwater runoff, and insulate the building, thus saving power. 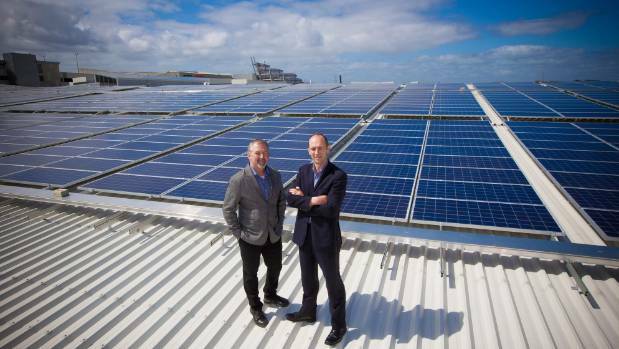 Sylvia Park site facilities manager Garth Dempsey, left, and Kiwi Property national facilities manager Jason Happy stand in front of New Zealand’s largest solar array installation on top of the Sylvia Park retail centre in Auckland. Farhi said while the appeal is obvious, it was important for building owners and occupiers to understand both the potential benefits and pitfalls before installing a green roof on a new or existing building. “Green roofs can make commercial buildings more efficient and environmentally friendly, and are potent visual symbols of sustainability,” he said. “On the other hand, green roofs can introduce hidden costs that could end up outweighing the benefits. Farhi said commercial property owners and occupiers needed to look past the “feel good” factor and consider their options before making a significant investment that could cost them in the long-run. He said that as solar panel technology progresses, they become a safer bet. 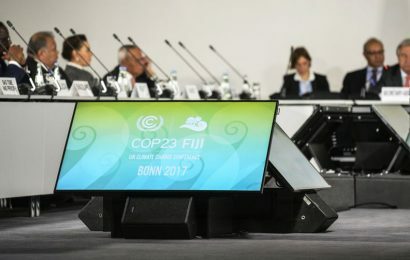 “Solar panels are getting cheaper to buy and install, and their modular nature can make them relatively straightforward to repair or replace. Farhi said while living green roofs have much more visual appeal, they could also be more troublesome. This could more easily be factored into a new building’s design, but could be costly or prohibitive if you’re retrofitting an existing building, he said. Unforeseen work could also be costly. Recent changes to regulations around building anchor points for abseiling, could be more difficult to adjust to with a green roof. A green roof, with its complex waterproof membrane, could create major issues if you needed to penetrate the underlying membrane to install new anchor points, Farhi said. Farhi says New Zealand’s climate could also influence the types of plants can grow on living roofs. New Zealand’s climate is temperate, and volatile in terms of heat, moisture and wind. 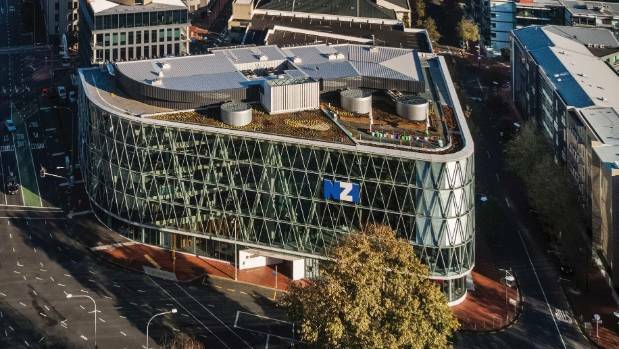 The NZI office building in Auckland has a variety of sedum and succulent plants planted on its roof to minimise runoff and absorb 1.3 tonnes of carbon dioxide from the atmosphere each year. The planting won the building extra points towards its five star Green Star NZ rating for its green building design from the NZGBC in the innovation category. Farhi said green roofs can make an attractive work space, social space, or encourage employees to collaborate on a company garden. Farhi said it might be more cost-effective and practical to install planters on existing decks. “This would bring some of the environmental and social benefits of a living roof – albeit on a much smaller scale – and free up the roof for a solar installation instead. 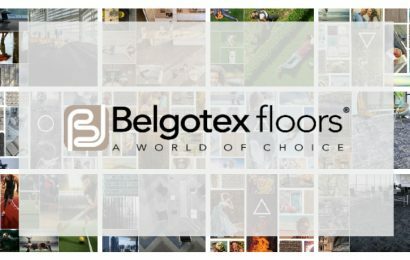 © 2019 Green Building Review®. All rights reserved Ashui.Asia.